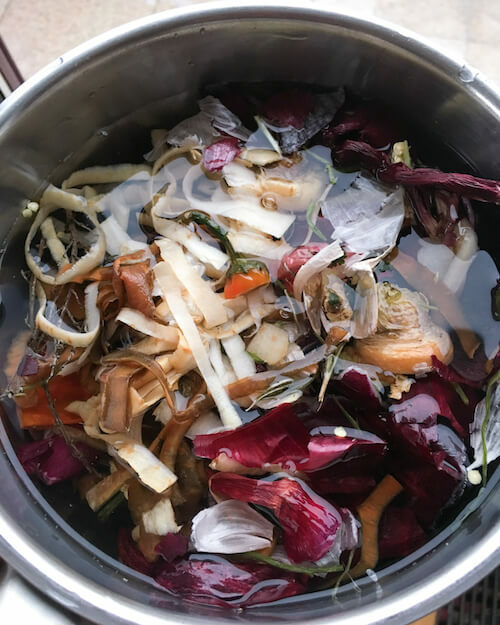 I came across this simple way of making vegetable stock from kitchen scrap while browsing for ideas on how to compost my kitchen scrap in my apartment. Everyday I have almost 2-3 cups of vegetable peels, ends and seeds etc that go into waste and it pains my heart to throw them down. Why use kitchen scraps for making veggie stock? I couldn’t find any food waste recycling place close by and so I thought, “let me try to see if I can compost them in the apartment itself.” When I saw this video, I almost jumped in joy. Such an easy way and it sort of kills two birds with one stone — you get an amazing homemade vegetable broth and it is a great way of reducing food wastage. Back in India, my mom saves her kitchen scrap for a week when a local farmer comes and picks it up fro her place. He adds it to animal feel. Such a perfect arrangement! I dream of a day when my kitchen will be a zero wastage kitchen. I have already stopped buying things that come in bottles and lots of packaging. As much as possible I try to buy loose vegetables and fruits but it is a bit difficult for grains and lentils, especially here in Europe. Everything comes “nicely packaged”. At least the vegetable scrap wastage is taken care of with this awesome stock recipe! A good vegetable broth is an essential ingredient during cooking. 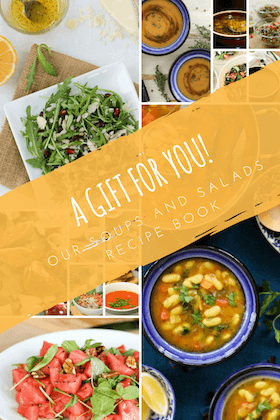 It adds to the flavour and body of soups, pasta sauces, curries and even pilaf. 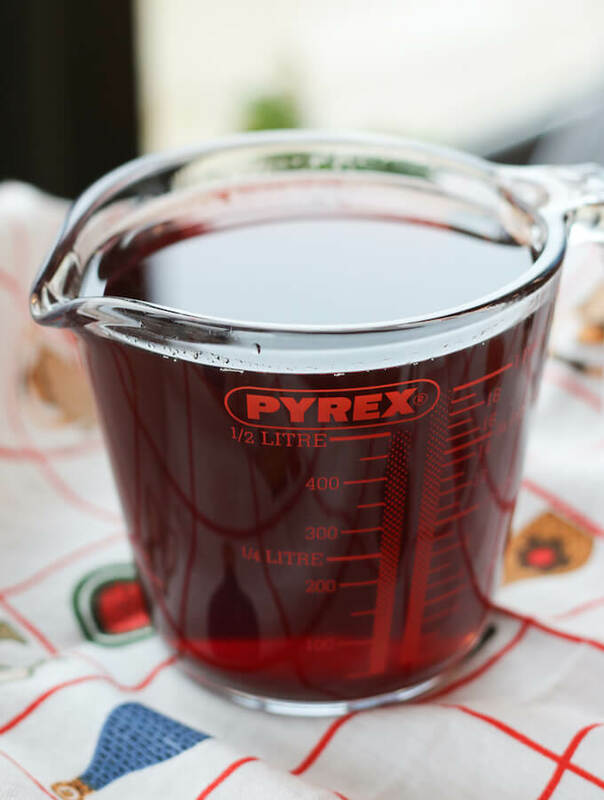 This method of making vegetable stock from kitchen scrap is a no brainer. Just wash and boil all the kitchen scrap with water and a few spices, reduce and then use in your dishes like any other stock. I collect the washed scraps (top, bottom and skins of onion, garlic, ginger, potatoes, carrots, beans, spring onions, celery, leeks, mushroom stems, parsley and coriander stems, seeds of chillies, bell peppers, tomatoes etc) for 3-4 days till I have like 5-6 cups of kitchen scrap. Makes about 1 litre stock. Take care not to add any vegetables gone bad or mouldy scrap. Also the flavour of the stock will vary depending on the veggie scraps you use. It is sweeter if there are lots of squash, pumpkin or carrot peels. Chilli seeds add a spicy kick and so does ginger. My kitchen scrap stock is usually deep crimson in colour because of all the red onion peels! If you don’t have a lot of kitchen scrap daily, you can also freeze the scraps and keep on adding to them till you have enough to make stock. If you like this recipe and the idea, please do take a moment to rate it below and/or leave your thoughts after. It will really encourage me. 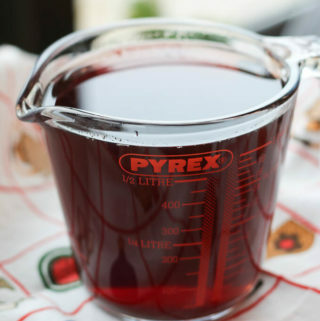 A good stock is a secret to many dishes and it is best when homemade. This is a simple recipe to make vegetable stock from everyday vegetable scraps in the kitchen. Healthy, flavourful broth and reduced food wastage all in one recipe! Wash the vegetable scraps thoroughly, under running water. Place the washed scraps in a thick bottom pot. Fill up with 8 cups of water. Add salt and bay leaf. Stir once and then cook covered till there is a boil in the water. Reduce the heat to low and simmer for 30-40 mins, till the stock is reduced to almost half. Strain the stock and store in refrigerator. Use within 3-4 days. Stock flavour will vary with the vegetable scraps used. You can use almost any vegetable but scraps of broccoli, cauliflower or brussels sprouts will make the stock bitter. I especially like to add stems of fresh herbs and bay leaf. They give a deep flavour and aroma to the stock. You can add more whole spices like star anise, pepper and cinnamon for added flavour.